Online learning is essential for many real-world vision tasks. Amount of the available training data is increasingly rapidly, which makes the offline training times much longer, sometimes up to weeks. Online algorithms process one example at a time, thus, such methods are more adequate for large data sets. The performance of most offline classification methods is bounded with the amount of the priori information at the beginning since they assume the learner plays no role in obtaining information about the unknown classes. However, online algorithms can adapt to new information. In conventional methods, the training samples are simply drawn independently from some probability distribution. On the other hand, recent online works show more powerful oracles. Offline methods imply that the training and testing are separate steps. To our advantage, training the classifier online as new data arrives enables combining these stages. Theoretical characterizations and various forms of performance bounds. In addition, we encourage work towards a solid framework for benchmarking OLCV algorithms. Please follow instructions on the Submissions link! Prospective authors are invited to submit a full-length six-page paper (formatted using IEEE two column format) via the submissions website. Reviews will be double-blind according to CVPR guidelines. 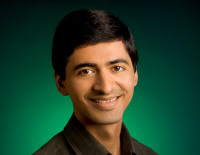 Dr. Jay Yagnik is currently the Head of Computer Vision and Audio Understanding Research at Google Inc. His interests include machine learning, scalable matching, graph information propagation, image representation and recognition, temporal information mining, statistics. He is an alumni of the Indian Institute of Science and Nirma Institute of Technology for graduate and undergraduate studies. Prior to Google he was at the Super Education and Research Center at IISc Bangalore and had worked on criminal identification through beard-mustache invariant facial recognition, machine learning for predicting protein function, cooperative robotics and solving large PDEs. His hobbies include games (badminton, ping-pong, Foosball), reading and writing. Keynote Title: Online Learning in Large Data Scenarios. Multimedia data on the web has enjoyed tremendous growth rates in recent years. For eg. YouTube.com alone gets 20hrs of new video uploaded to it every minute. Other image driven sites enjoy favorable growth properties as well. In scenarios of this scale, its challenging to even "touch" every data point. We will talk about some of the methods for handling scale and how online/incremental learning algorithms can fit the bill well for some sub-classes of this problem space. The effect of relaxing domain constraints in presence of large datasets will be examined leading to some empirical support for using simple models in presence of ample data. The talk will cover a broad range of tasks from classification/ranking to similarity learning and user interaction. Dr. Burak Gokturk is the CTO and co-founder at Like.com, and he and his team are the 'brains' behind Like.com's visual search technology. Prior to Like.com, he developed computer vision algorithms at Canesta, Intel and BEKO. 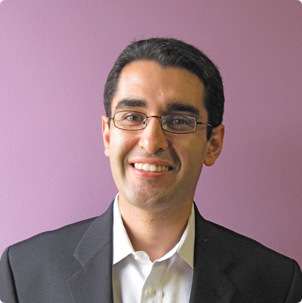 He has been in the vision field for more than 12 years, published more than 30 papers, and holds more than 25 patents/patent applications. His computer vision algorithms have been prototyped and/or implemented in various computer vision products. He developed a 3D shape representation scheme, called 'Random Orthogonal Shape Sections', which achieved one of the best recognition rates for the detection of colon cancer. His other research concentrated on tracking, detection and recognition of 3D shapes and faces, similarity of image representations, medical imaging, 3D image compression. Burak received a BS in Electrical Engineering and Computer Science form Bogazici University, and MS and PhD degrees in Electrical Engineering from Stanford University. In this work we tackle the problem of search personalization for on-line soft goods shopping. By learning what the user likes and what the user does not like, better search rankings and therefore a better overall shopping experience can be obtained. The first contribution of the work is in terms of feature selection: given the specific nature of the domain, we combine the traditional visual and text features into a fashion-driven low dimensional space, compact yet very discriminative. On the learning stage, we describe a two steps hybrid learning algorithm, that combines a discriminative model learned off-line over historical data, with an extremely efficient generative model, updated on-line according to the user behavior. Qualitative and quantitative analyses show promising results. 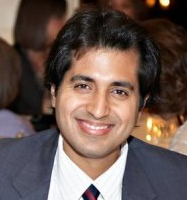 Dr. Ashish Kapoor is a researcher at Microsoft Research, Redmond and his research interests are centered around interactive machine learning and computer vision. Currently he is interested in building systems that often involve humans in the loop and have the ability to adapt and learn over long periods of time. He received his Ph.D. from MIT and hold a bachelor's degree in computer science and engineering from the Indian Institute of Technology, Delhi. A majority of research on active and online learning focuses on progressively building predictive models by observing additional labeled data instances. However, we can consider a more general and richer class of machine learning problems that consider various other sources of information to adapt the models continuously, so as to learn effectively over prolonged periods of time. In this talk, we will consider a gamut of information that ranges from the simple labeled data to complex patterns of human behavior observed during decision making tasks and focus on how such spectrum of information can be effectively used to derive learning algorithms that perform better and adapt appropriately with time. We will discuss principles in the context of image categorization, search and several computer vision applications with "humans in the loop". Last year, we have received 22 high quality papers out of which we have selected 10 for oral presentation. This correspond to an acceptance rate of 45%.